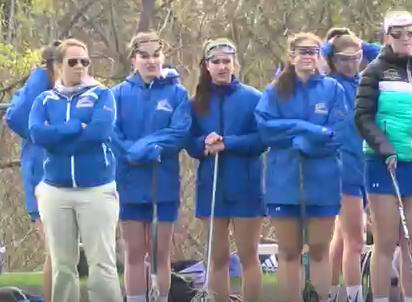 Last Wednesday afternoon, the Kearsarge Cougars girls lacrosse team hosted the ConVal Cougars. ConVal came into the game with a record of 3 and 4 while Kearsarge held a record of 5 and 3. This battle of the Cougars was expected to be a tough one with both teams currently on small losing streaks, needing victories. Thanks for talking with us coach and girls and congrats on your 6th win of the year.